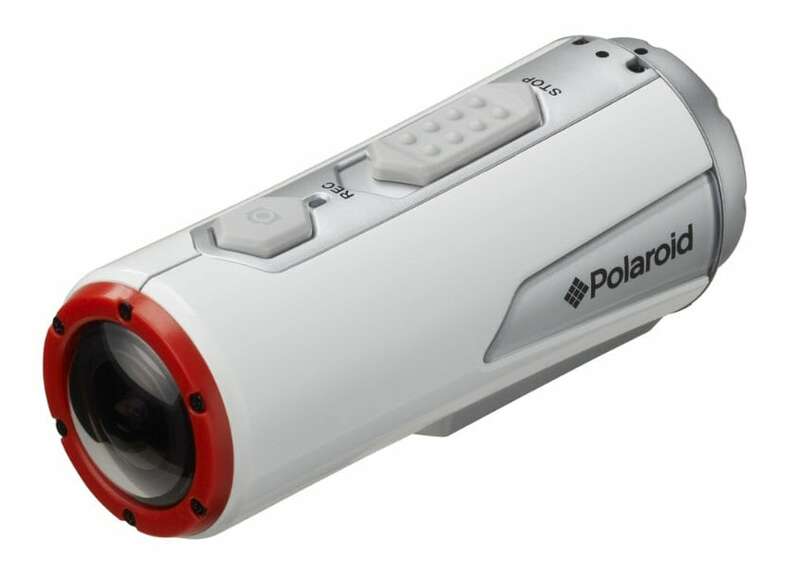 Polaroid has made an impressive comeback with its latest action camera unit: XS 100 Extreme Edition. Today it has grown as one of the most affordable action camera in market with all advanced features. The article below includes detailed review of Polaroid XS 100i so that users can grab information about all added features of this product. Here we will talk about value, performance, usability, design and many more. It features attractive hardware shape along with intuitive software controls where wide angle lenses can work up to 170 degree range. You can record FULL GD videos under water with this device as it allows safe usage up to 30 feet. The sturdy shock absorbing box and advanced gyroscope sensor make it more useful for adventure sports lovers. In simple terms, Polaroid has launched something special for its users with all desired features in single unit. This bullet shaped camera is designed with compact dimensions: Height as well as width goes up to 1.7 inches whereas overall weight is only 136 grams. Its body is designed with plastic material that stays waterproof up to 30 meters even without any additional housing arrangement. Also, you can take this camera to shoot footage in rough weather conditions like surf and sand etc. There is locking twist off type cap available on backside of camera that hides Mini USB port, Mini HDMI and MicroSDHC slot behind it so that they can stay protected during underwater shooting. A switch is provided for 720p recording mode selection. An indicating LED is added on the top side to display camera status. You will also find a power button on this device that assists in easy switching to recording mode. Two preferred video recording mode in this camera allows shooting at 720p and 1080p where frame rate can be easily fixed to 30 fps. For 720p you can also switch to 60fps settings whereas 960p works fine with 30 fps rating. Stills can be easily captured at different resolution settings: 16MP, 5MP and 3MP. The shutter speed can be adjusted to 10fps in burst mode whereas it serves finer results with time lapse mode providing clicks at 60, 30, 10 and 5 second speed. Polaroid XS-100i is a Wi-Fi enabled device so it can be easily controlled from remote location with dedicated smartphone application. As this device lacks in display so you can enjoy easy previews from smart phone screen so that camera can be mounted at right angles. This application also provides easy controls to device settings. When you connect your camera to computer with the help of USB connectivity then it automatically loads a software to your computer for easy file sharing. This action camera comes with built in 120mAh battery so it cannot be removed and replaced with other. But the battery life is comparatively good as it can serve up to 2.5 hours. But remember that too avail this long hour assistance you need to keep your Wi-Fi switched off. The best part is that USB charging option is included so that you can recharge your camera to make it ready for the next shoot. On backside of this camera you will find slots of MicroSD card, Mini USB and for Mini HDMI connection. These slots are well protected from water by a lockable cover. The maximum allowed storage capacity goes up to 32GB that is pretty good for Full HD recording. You need to use camcorder media type flash card with this device. If we consider the low price fact of Polaroid XS-100i then we must say that lost of features are embedded inside this affordable unit. The full HD setting will provide your crisp results if you are recording in good light conditions. The image orientation can be automatically corrected. As this device is waterproof and shockproof so it can serve with finer details to all adventure sports lovers. As the price tag is low enough so you are definitely going to spend less for such a impressive combination of features.